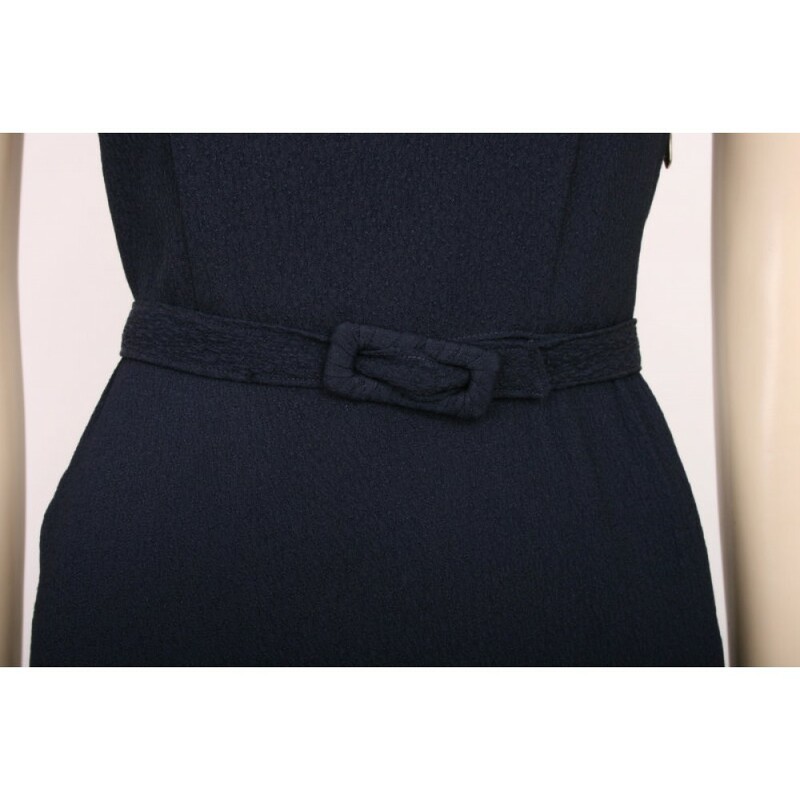 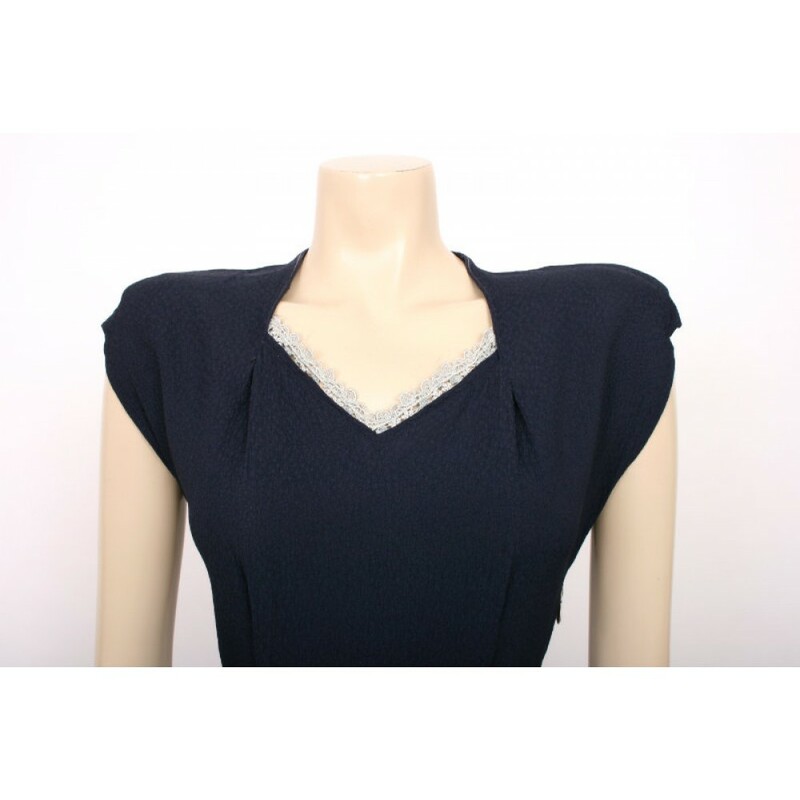 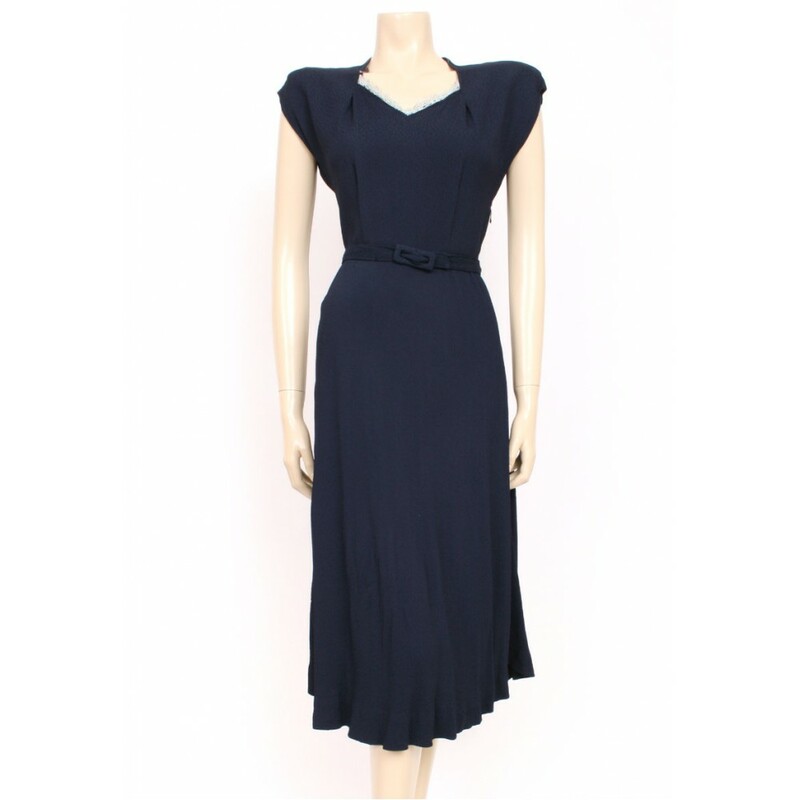 Stunning 40's dress, navy blue moss crepe, beautiful weight to it, ideal for swing dance, great with authentic vintage accessories for a classic look or teamed with modern heels or ankle boots for a new take. 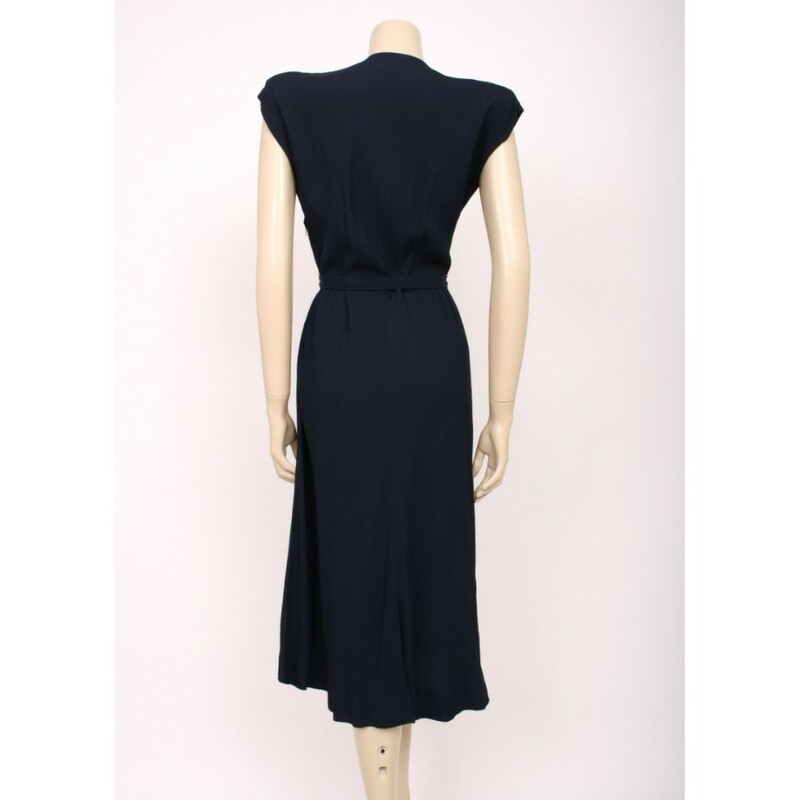 Flared skirt, side metal zip, beautifully hand made, slim matching belt, lace detail at the neck and bold shoulder pads for the iconic 40's silhouette. 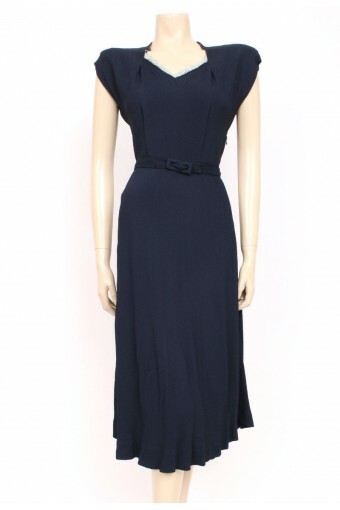 Size UK14; bust 38", waist 32", total length 44"
Excellent used vintage condition, no marks or damage.